Change things up with these side-trips from Kruger National Park: Hoedspruit (iNyoka Art Gallery & Moholoholo Wildlife Rehab Centre). Spend the 22nd (Mon) surrounded by wildlife at Game drives at Phalaborwa Gate in Kruger National Park. Next up on the itinerary: hike along Bushmans Trail, stroll through Lonely Bull Trail, and get outside with Wild Frontier Adventures. 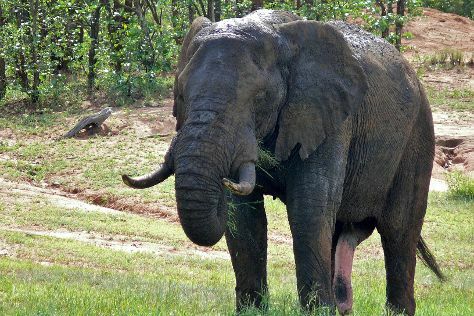 For where to stay, traveler tips, more things to do, and other tourist information, go to the Kruger National Park visit planner . Zurich, Switzerland to Kruger National Park is an approximately 22.5-hour flight. The time zone difference when traveling from Zurich to Kruger National Park is 1 hour. When traveling from Zurich in April, plan for much hotter days in Kruger National Park, with highs around 30°C, while nights are a bit warmer with lows around 17°C. Finish up your sightseeing early on the 25th (Thu) so you can travel to Maputo. Maputo is known for museums, shopping, historic sites, nature, and parks. Your plan includes some of its best attractions: get the lay of the land with Walking tours, examine the collection at Museu dos CFM, contemplate in the serene atmosphere at Mesquita da Baixa, and admire the landmark architecture of Casa de Ferro (The Iron House). Make your Maputo itinerary with Inspirock to find out what to see and where to go. Traveling by car from Kruger National Park to Maputo takes 6 hours. Plan for a bit warmer temperatures traveling from Kruger National Park in April, with highs in Maputo at 35°C and lows at 22°C. 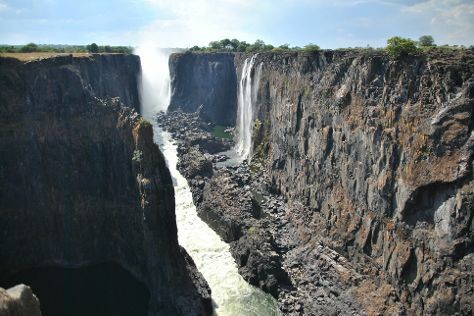 Finish up your sightseeing early on the 28th (Sun) so you can travel to Victoria Falls. Spend the 30th (Tue) spotting exotic species with a safari tour. There's lots more to do: take in the dramatic scenery at Mosi-oa-Tunya / Victoria Falls National Park, stroll through Siduli Hide, see the world from above with a helicopter tour, and relax and float downstream with a rafting and tubing tour. To see photos, reviews, traveler tips, and tourist information, read our Victoria Falls trip itinerary planner . You can fly from Maputo to Victoria Falls in 6 hours. Alternatively, you can drive; or do a combination of bus and train. Plan for a bit cooler temperatures traveling from Maputo in April, with highs in Victoria Falls at 32°C and lows at 18°C. Wrap up your sightseeing on the 3rd (Fri) to allow time to travel back home.